Dr. John Wild has been in practice since December 1991 when he earned his Doctor of Chiropractic from Logan College of Chiropractic in St. Louis, Missouri. He worked there as an associate doctor before opening Wild Chiropractic in Seward. Built in 2007, our beautiful, modern facility offers you a convenient location close to Highway 15 and Highway 34 in Seward. Our mission is to serve our community with loving Chiropractic care, while utilizing the body’s miraculous ability to heal itself, thus enabling every man, women and child to live a healthy, pain-free life. 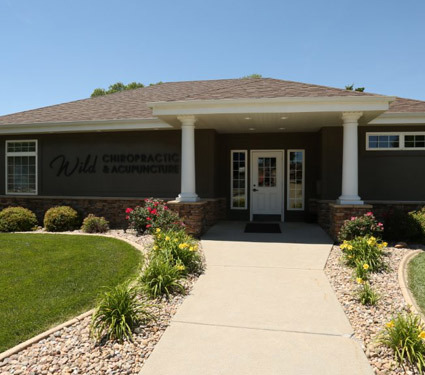 Dr. Wild is well-versed in many chiropractic techniques, having gained certifications in several different methods. After decades of experience, we’ve formulated a unique approach to care involving the Pinnacle Prone Technique. It’s low-force and noninvasive, ideal for people of all ages, from infants to our oldest patient, who is 104 years young. Dr. Wild also uses Diversified and the Activator, a small hand-held instrument. We offer same-day appointments and welcome emergency cases. Contact us today to schedule your visit! Insurance can be used for your visits.